GoodBulk Ltd. (GoodBulk) (N-OTC: BULK) an owner and operator of dry bulk vessels announced today that it took delivery of the Aquamarie, a 2012 Capesize vessel of 178,896 dwt built by Sungdong, SKR, on December 19, 2017. 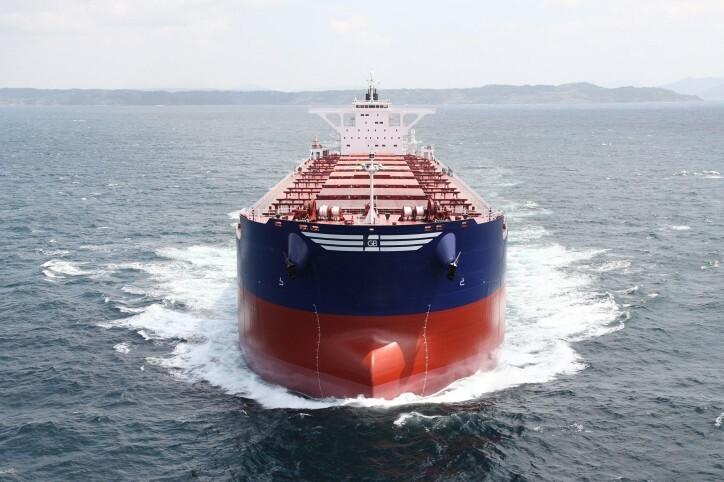 The purchase, which is the second to deliver of 7 Capesize vessels acquired from funds managed by CarVal Investors (CarVal) on October 26, was financed with the issuance of 1,755,460 new common shares and 394,540 treasury shares to CarVal. Following the share issue to CarVal the Company will have 16,728,916 outstanding common shares.The vessel is expected to be employed in the spot market via the Capesize Revenue Sharing Agreement (Capesize RSA) managed by C Transport Maritime SAM (CTM). Including the Aquamarie, GoodBulk currently has an on the water fleet of 11 Capesize vessels, 1 Panamax vessel, and 2 Supramax vessels operating in the spot market, with an additional 5 Capesize vessels to be delivered between the 4th quarter of 2017 and 1st quarter of 2018. The Company has an option to acquire an additional 6 Capesize vessels from funds managed by CarVal.